The 18 Latin American Cities currently signed onto the Clean Bus Declaration of 2015 are sending clear signals to the market about their commitment to transitioning their bus fleets to low or zero emission buses. The time to transition is now, as many cities in the region, like Bogotá and Santiago, are preparing to renew part of their bus fleets in the next couple of years—an opportunity to adopt zero and low emission buses that will not present itself again in the near future. As these cities have recognized, transitioning to low and zero emission buses can create economic, environmental and health benefits. In general, zero emission buses have lower operating costs than traditional buses given their savings from reduced fuel consumption and maintenance, and cities like London have already noticed these savings. Low and zero emission buses can also help reduce emissions that contribute to poor local air quality and global climate change. Less noise pollution and vibration make for a more enjoyable journey for passengers and drivers, and improve livability for residents along transit routes. Yet, the adoption of low and zero emission buses is still at an early stage across the region. Urban bus fleets are, for the most part, diesel-fueled. Compared to global leaders—in Europe, China and the U.S.—adoption is proceeding slowly. Only in 2013, Santiago tested its first electric bus, and in 2015 Campinas announced plans to acquire 10 electric buses, which would be the largest fleet in Brazil. Only Bogotá has achieved modest success with over 300 hybrid buses already part of its fleet. What is holding Latin American cities back, and what can be learned from successful business models worldwide about accelerating investments in low and zero emission buses? The first major barrier holding cities back from transitioning is the upfront cost of low and zero emissions buses. Electric buses can cost at least between 120-150 percent more than diesel vehicles, especially if batteries are included in the overall cost. Financial disincentives can also add indirect costs both upfront and over a bus’s lifecycle. In Brazil, for example, import tariffs designed to protect local production and low-cost loans for local production skew investment decisions. Fossil fuel subsidies for diesel also factor into the picture by making diesel more financially attractive to bus owners. Second, many bus operators perceive new technologies as risky and question whether they will be able to provide the same level of service as diesel buses. There are few examples of long-term electric bus operations around the world, so there are still lingering questions about their suitability to operate in Latin American conditions. In particular, it is still not clear with current battery ranges if operators need more buses to achieve the same route coverage they currently provide with diesel buses, or whether the buses and batteries themselves will hold up during 10+ years as expected in the region. Operators are not only wary about how the technology will respond, but also about changing the supply chain they have built over the past 40 or more years of diesel operation. These well-established supply chains include fuel provision as well as the supply of spare parts and maintenance staff, and can be quite difficult to change. Finally, there is a need to ensure that commitments such as the Clean Bus Declaration are properly reflected in the concession contracts that are currently being developed throughout the region. 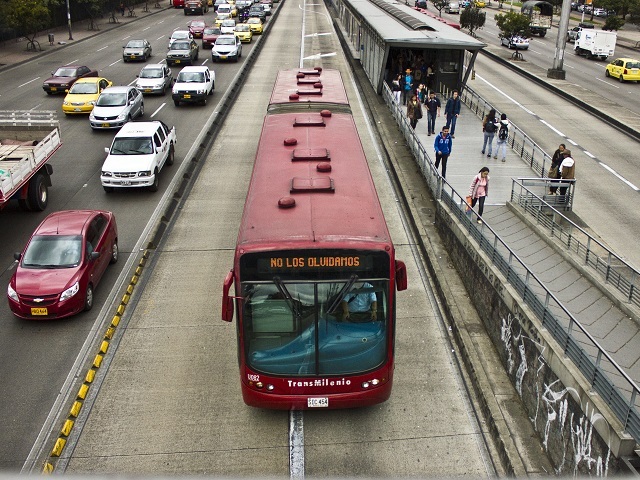 Latin America’s organized public transport systems and bus rapid transit systems (BRT) have tended to favor the procurement and operation of its fleets using open bidding processes that prioritize least cost options. Although this model has many benefits (it can incentivize private sector competition and innovation), it often disqualifies more expensive technologies. Changes in the contracting model need to be introduced to ensure a level playing field for low and zero emission buses. What Does the Region Need to Transition? Various options exist for addressing the combined challenges of upfront costs, technology risk and skewed procurement models. Public administrations, technology and service providers, and the financial community each have an important role to play to build a market for clean buses in the region. Several public sector actions can create confidence in the emerging market for clean buses. Public commitment—like Paris’s announcement to move towards zero emission fleets in the medium term—is critical, but rhetoric has more teeth when accompanied with funding. In the UK, the clean bus technology fund made capital grants available for cities, totaling nearly £7 million (US $8.56 million) in 2015, to pay for higher technology cost. Grants and tax-based incentives on purchases, operations, and maintenance are important ways for the public sector to indicate it values the broader environmental, social, and economic benefits of clean buses. Revisions of institutional frameworks and procurement processes can be transformational. The new Transantiago tender documents are opening the door to demanding a minimum number of zero emission buses in the routes it will be contracting out. Included in the new procurement documents is a provision for longer depreciation periods for clean technologies, which helps operators amortize the higher upfront costs over longer payback periods. These are clear signals to the market, and are good initial steps towards achieving implementation. Manufacturers, utilities and other providers of ancillary services have a pivotal role in helping the market adjust perceptions about the riskiness of their technology offering. Battery leasing—as manufacturers provide in cities such as Shenzhen—can transfer risks away from operators. Furthermore, package deals that include maintenance and training by the manufacturers can help overcome the risk perception in transitioning to new technologies. Technology pilots can help operators understand the technologies better, including both their advantages and drawbacks compared to current operations. Manufacturers can also help costs down. BYD installed its first Latin American factory in Campinas in 2014 to overcome import tariffs, while at the same time injected over US $65 million to the economy and created over 450 jobs in the process. Bringing together public and private financiers could be the catalyst to unlocking the clean bus sector. The problem is not necessarily that there is insufficient finance for clean bus investments as such, but rather that there are other, less risky opportunities that investors find more attractive. Here, public financial institutions can play a transformative role by providing concessional debt, credit guarantees, and seed capital for investment funds aiming to leverage private capital. For example, the Clean Technology Fund (CTF) through the Inter-American Development Bank provided a concessional loan for operators in Bogota to purchase the first hybrid buses that have been operating in the city. This mechanism provided available, affordable credit that otherwise would not have been accessible in the market due to the high risk of investing in the transport system. Latin America’s clean bus transition hinges on three key actors’ ability to rebalance existing business models so that they achieve an acceptable risk-return for everyone involved. Creating the space for dialogue, where everyone has common knowledge of the available options, is important. This is essential for developing business models appropriate for the local circumstances. If all three actors converge, new business models will allow the public sector to meet its service objectives, operators to satisfy their bottom line and financiers to make a return on investment. Linking up public authorities, bus operators, technology providers and financiers should happen early on in the investment process in order to take everyone’s interest into account. Low and zero-emission buses are a reality around the world right now, and cities in Latin America need to hop on board this trend before they get left further behind. 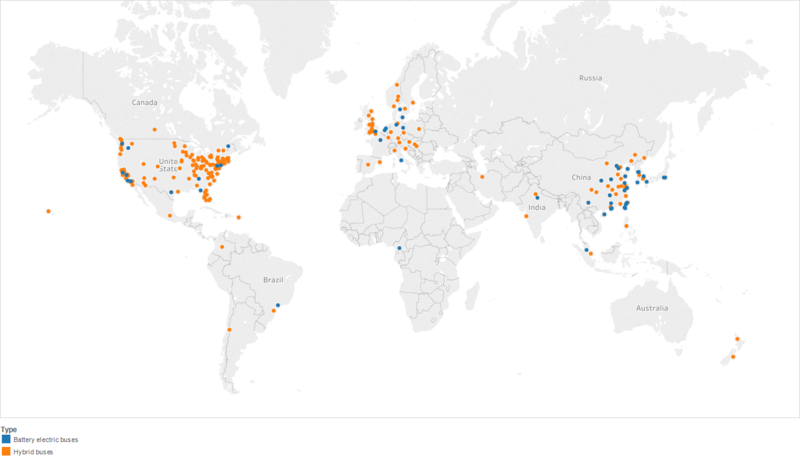 Financing Sustainable Cities is an initiative of the WRI Ross Center for Sustainable Cities and C40 Cities, funded by the Citi Foundation, focused on helping cities develop business models that can accelerate the implementation of sustainable urban solutions. The Climate Technology Transfer Mechanisms project executed by WRI with support from the Inter-American Development Bank and the Global Environment Facility assists Latin American Governments in overcoming barriers for implementing low carbon transport technologies.